On behalf of the Verde staff, board, and community, thank you for your support! This past year has been transformational for our organization. We’ve grown in many ways: read about it all in our very first annual report. 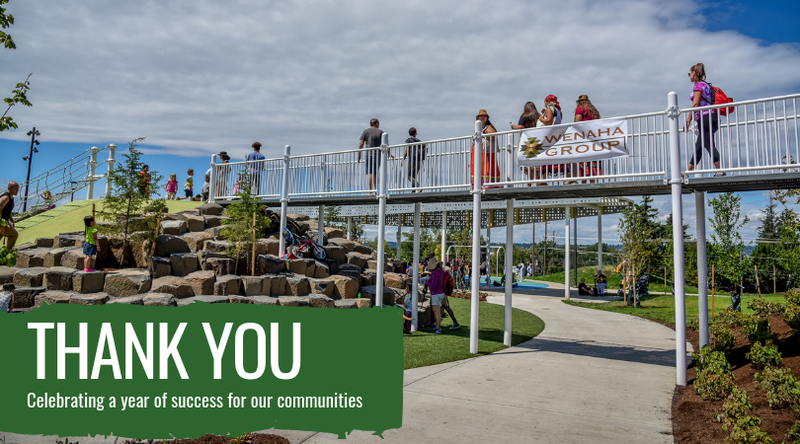 We completed construction of Cully Park, led an effort to secure the City of Portland’s first ordinance to protect vulnerable mobile home park residents from displacement, and passed the Portland Clean Energy Initiative, creating an annual fund of an estimated $30 million for renewable energy projects that support low-income communities and communities of color. 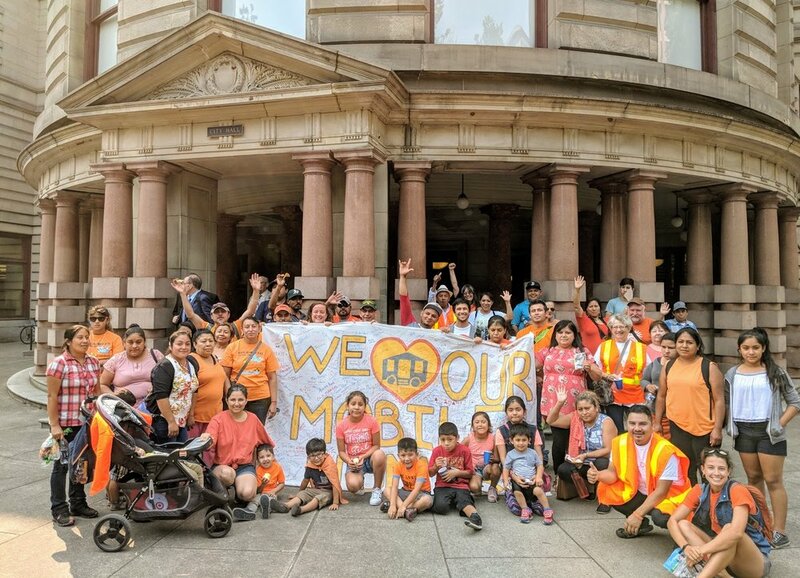 As an organization, we continue to innovate and perform in building environmental wealth in our communities and prevent displacement as those investments are made. 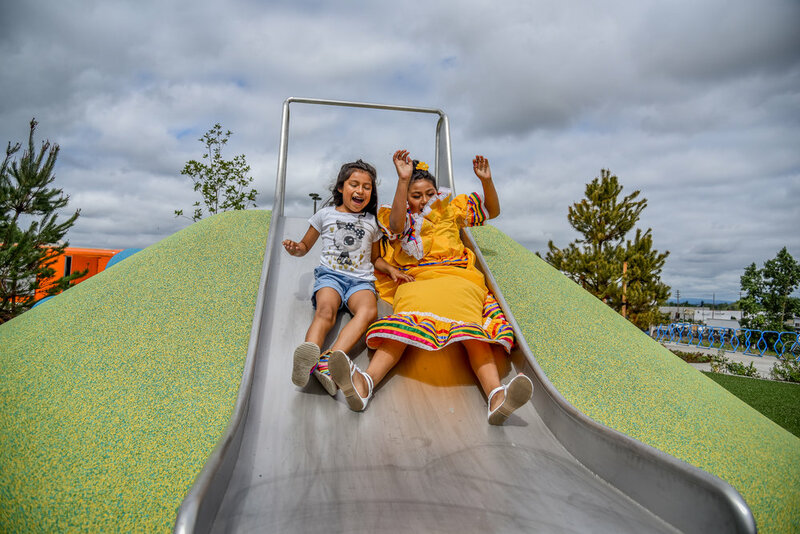 Verde engaged over 100 youth to design Cully Park, including the Nature Play Area. Naim Hasan Photographys. Residents a part of Verde’s Cully Mobile Home Program celebrate after Portland City Council passed the Manufactured Dwelling Park Rezoning Ordinance, protecting 56 mobile home parks from being redeveloped for other uses. Verde Landscape Crew Member Rosa, Karen and Antonio prepare the grading at Cully Park. Community artists Patricia Vazquez, Alex Valle and Rudy Serna are tying Cully’s wayfinding system together by engaging with Cully youth to design artwork that will wrap around four informational kiosks. Verde secured a $1 million grant from Nike and the Portland Trailblazers to improve Portland Park’s basketball courts. Newer PostVerde launches new solar energy after school program in Cully neighborhood!